Demonstrate increasing competence in oral communication (listening and speaking). Demonstrate understanding through age-appropriate responses. 1.A.ECc: Provide comments relevant to the context. 1.A.ECd: Identify emotions from facial expressions and body language. Perform one-step directions stated orally (e.g., “Throw your paper towel in the trash can.”). Perform two-step directions stated orally (e.g., “Get your coats on and line up to go outside.”). Perform three-step directions stated orally (e.g., “Put your paper in your cubby, wash your hands, and come sit on the rug.”). Answer simple questions stated orally with a simple reply (e.g., “yes,” “no”). Respond to simple questions stated orally with appropriate actions (e.g., “Did you remember to wash your hands?” and the child goes to the sink and washes hands). Respond to simple questions stated orally with appropriate actions and comments (e.g., “Did you remember to wash your hands?” and the child says “Oh, I forgot!” and goes to the sink and washes hands). Make one comment that is related to the topic of the conversation or discussion (e.g., “I have a dog, too.”). Make more than one comment related to the topic of the conversation or discussion (e.g., “I have a dog, too. His name is Champ.”). Make comments and ask questions that are related to the topic of the conversation or discussion (e.g., “I have a dog, too. His name is Champ. What’s your dog’s name?”). Look at a person’s face or body language and ask how s/he feels (e.g., “What’s wrong with her, teacher? Did she get hurt?”). Look at a person’s face to determine how they feel (e.g., “She looks mad.”). Look at a person’s body language to determine how they are feeling (e.g., “He’s sitting there all by himself. I think he’s sad, teacher.”). Communicate effectively using language appropriate to the situation and audience. 1.B.ECb: With teacher assistance, participate in collaborative conversations with diverse partners (e.g., peers and adults in both small and large groups) about age-appropriate topics and texts. 1.B.ECc: Continue a conversation through two or more exchanges. 1.B.ECd: Engage in agreed‐upon rules for discussions (e.g., listening, making eye contact, taking turns speaking). Ask for help when needed. Use language to interact socially with others during various times of the day (e.g., group time, center time, outdoor play, meal time). Use language to influence the behavior of others (e.g., “That hurt when you pushed into me.”). With teacher assistance, tell something to peers and adults in small- and whole-group situations about age-appropriate topics (e.g., Teacher: “Can you tell us what your idea is?” Child to group in block area: “I want to build a big boat.”) With teacher assistance, converse with peers and adults (with one back-and-forth exchange) in small- and whole-group situations about age-appropriate topics (e.g., Child to another child: “My Grandma lives in Florida. Where does your Grandma live?” Other child: “In Chicago.” First child: “Do you go see her there?”). With teacher assistance, converse with peers and adults (with more than one back-and-forth exchange) in small- and whole-group situations about age-appropriate topics (e.g., Teacher: “How many of you played in the snow yesterday?” Child: “I did. I went sledding.” Another child: “Me too! I saw you there.” First child: “I was with my Dad and sister. Who were you with?” Second child: “My Mom. My Dad was at work. I got really cold.” First child: “Me too!”). Use one appropriate conversational skill, such as listening to others, making appropriate eye contact, or taking turns speaking about the topics and texts under discussion (e.g., in the library, yells to friend, “Hey, wanna read this book together? It’s my favorite.” When friend joins him, he looks at his friend but does all of the talking.). Use two appropriate conversational skills, such as listening to others, making appropriate eye contact, or taking turns speaking about the topics and texts under discussion (e.g., while pretending to cook in the dramatic play area, child says, “Pretend we’re the sisters.” Other child says, “I don’t want to be a sister. I want to be the Mom.” Other child replies without looking at her, “But you have to be the sister. We don’t have a Mom.” The other child leaves the area.). Use more than two appropriate conversational skills, such as listening to others, making appropriate eye contact, and taking turns speaking about the topics and texts under discussion (e.g., at snack time, talking about seeing the latest “Cars” movie and looking at each other, listening, and taking turns speaking). Use language to convey information and ideas. 1.C.ECa: Describe familiar people, places, things, and events and, with teacher assistance, provide additional detail. With teacher assistance, tell about a favorite toy or other object during a show-and-tell experience or when talking to a teacher at arrival time (e.g., “It’s my new stuffed turtle. See, his head goes in and out.”). With teacher assistance, tell about a family experience at home or a special family event (e.g., “It was my baby sister’s birthday. We had a cake, and she smooshed it all over her face.”). Share information about a personal experience and, with teacher assistance, provide additional detail (Child: “I’m going to my aunt’s house for a barbecue. I hope we have hot dogs.” Teacher: “What else do you think you’ll have?” Child: “Maybe chips. And popsicles.” Teacher: “Do you like popsicles? What flavor?” Child: “I like the orange ones.”). Speak using conventions of Standard English. 1.D.ECa: With teacher assistance, use complete sentences in speaking with peers and adults in individual and group situations. 1.D.ECb: Speak using age-appropriate conventions of Standard English grammar and usage. 1.D.ECc: Understand and use question words in speaking. With teacher assistance, speak in simple sentences that are usually, though not always, grammatically correct. With teacher assistance, speak in sentences that use regular plural nouns by adding /s/ or /es/ (e.g., dog, dogs; wish, wishes) in speaking. With teacher assistance, speak in sentences that use an increasing number of pronouns (e.g., she, he, her, him, their, his, our, myself, yourself, herself, mine, me, you), though not always appropriately. Use negatives (no, not) appropriately. Add /ed/ to words to indicate past tense (e.g., walk, walked; rain, rained), though not always appropriately, and begin to use past tense negatives (wasn’t, weren’t), though not always appropriately. Use irregular verbs (e.g., ate, sang, swam) and nouns (mice, geese), though not always appropriately. Use one or two of the most frequently occurring prepositions (e.g., to, from, in, out, on, off, for, of, by, with) in speaking. Use three or four of the most frequently occurring prepositions (e.g., to, from, in, out, on, off, for, of, by, with) in speaking. Use more than four of the most frequently occurring prepositions (e.g., to, from, in, out, on, off, for, of, by, with) in speaking. Answer and ask questions that begin with “who” or “what”. Answer and ask questions that begin with “where” or “when”. Answer and ask questions that begin with “who”, “what”, “where”, “when”, “why”, and “how”. Use increasingly complex phrases, sentences, and vocabulary. 1.E.ECa: With teacher assistance, begin to use increasingly complex sentences. 1.E.ECb: Exhibit curiosity and interest in learning new words heard in conversations and books. 1.E.ECd: With teacher assistance, explore word relationships to understand the concepts represented by common categories of words (e.g., food, clothing, vehicles). 1.E.ECe: With teacher assistance, use adjectives to describe people, places, and things. With teacher assistance, make sentences more complex by adding modifiers or auxiliary verbs (e.g., “I want the sparkly one.” “He was running.”). With teacher assistance, combine two short sentences (e.g., “I have a dog. He can jump.”) into one longer sentence (“I have a dog, and he can jump.”). With teacher assistance, use complex sentences to express more complicated relationships (e.g., “When my Mom comes, I’m going to Target.”). With teacher assistance, repeat new words that have been heard aloud (e.g., Child: “What kind of dinosaur is it again?” Teacher: “Tyrannosaurus rex.” Child: “Oh yeah, Tyrannosaurus rex.”). Ask questions about unfamiliar words (e.g., “What does mean?”). With teacher assistance, attempt to use new words that have been heard aloud in one’s own speaking (e.g., “I saw a gigantic bug outside.”). With teacher assistance, sort objects into categories (e.g., clothing, toys, food) to gain an understanding of the underlying concepts. With teacher assistance, begin to label sorted categories of objects (e.g., “I put all of the blue blocks together.”). With teacher assistance, label and describe categories of objects (e.g., “These are all the fruits. You can eat them.”). With teacher assistance, use descriptive words to explain how a familiar person, place, or thing looks (e.g., describing a pet or a favorite food). With teacher assistance, use descriptive words to explain how a familiar person, place, or thing looks and feels (e.g., describing a pet or a favorite food). With teacher assistance, use descriptive words to explain how a familiar person, place, or thing looks and feels, as well as describing how it sounds, smells, and/or tastes (e.g., describing a pet or a favorite food). Demonstrate understanding and enjoyment of literature. Demonstrate interest in stories and books. 2.A.ECa: Engage in book-sharing experiences with purpose and understanding. 2.A.ECb: Look at books independently, pretending to read. Show interest in reading or in written text by enjoying listening to books read aloud. Show interest in reading or in written text by asking to be read to. Show interest in reading or in written text by asking the meaning of something that’s written. Make a comment while looking at the pictures in a book. Describe what they see while looking at the pictures in a book. Tell a story while looking at the pictures in a book. Incorporate books into dramatic play, such as reading to a baby doll or stuffed animal. Incorporate books and other written materials into dramatic play, such as reading from a real or pretend menu. Incorporate books and other written materials into dramatic play on a regular basis. Recognize key ideas and details in stories. 2.B.ECa: With teacher assistance, ask and answer questions about books read aloud. 2.B.ECb: With teacher assistance, retell familiar stories with three or more key events. 2.B.ECc: With teacher assistance, identify main character(s) of the story. With teacher assistance, ask and answer simple questions about a story related to a particular character, action, or picture in the storybook. With teacher assistance, ask and answer simple questions about a story by describing what happened. With teacher assistance, ask and answer simple questions about a story by telling how a particular character might feel or predicting what might happen next. With teacher assistance, use props (e.g., pictures, puppets, flannel pieces) to retell a well-known story with one or two correct details. With teacher assistance, use props (e.g., pictures, puppets, flannel pieces) to retell a well-known story with more than two correct details. With teacher assistance, use props (e.g., pictures, puppets, flannel pieces) to retell a well-known story with most of the correct details in the flow of the story. With teacher assistance, recall something about one main character in the story (e.g., it’s a dog; he’s red). With teacher assistance, recall something about more than one main character in the story. With teacher assistance, recall most of the main character(s) in the story and tell something about them. 2.C.ECb: Identify the front and back covers of books and display the correct orientation of books and page-turning skills. 2.C.ECc: With teacher assistance, describe the role of an author and illustrator. Enjoy listening to and pretending to read different types of texts (e.g., picture books and predictable books with repetitive patterns). Enjoy listening to and pretending to read different types of texts (e.g., simple storybooks). Enjoy listening to and pretending to read different types of texts (e.g., more complex and lengthy storybooks or books with poems, rhymes, and/or songs). Hold books with front cover facing up. Turn pages correctly, moving from front of book to the back. Look at page on the left then page on the right. Establish personal connections with books. 2.D.ECa: With teacher assistance, discuss illustrations in books and make personal connections to the pictures and story. 2.D.ECb: With teacher assistance, compare and contrast two stories relating to the same topic. With teacher assistance, talk about the pictures in a book (e.g., describe what they see on each page, tell how the characters look). With teacher assistance, make personal comments about how the pictures are like something in their lives. With teacher assistance, make personal comments about how the story is like something in their lives. With teacher assistance, discuss how the pictures in two books are alike and/or different (e.g., noticing that photographs of real animals are used in one book and drawings are used in another). With teacher assistance, discuss how the characters in two books are alike and/or different. With teacher assistance, discuss how the plot, storyline, or actions in two books are alike and/or different. Demonstrate interest in and understanding of informational text. Recognize key ideas and details in nonfiction text. 3.A.ECa: With teacher assistance, ask and answer questions about details in a nonfiction book. 3.A.ECb: With teacher assistance, retell detail(s) about main topic in a nonfiction book. With teacher assistance, look at the pictures or text in a nonfiction book. With teacher assistance, ask and answer simple questions about the pictures or text in a nonfiction book. With teacher assistance, look at pictures in an informational book to find an answer to a question (e.g., looking to see what a tadpole looks like and how it is different from a frog). With teacher assistance, identify one important fact in a nonfiction book heard read aloud. With teacher assistance, identify more than one important fact from a nonfiction book heard read aloud. With teacher assistance, recall important facts from a nonfiction book heard read aloud. Recognize features of nonfiction books. 3.B.ECa: With teacher assistance, identify basic similarities and differences in pictures and information found in two texts on the same topic. With teacher assistance, talk about how the pictures in two books about the same topic are alike and different (e.g., noticing that photographs are used in one book and drawings in another book on the same topic). With teacher assistance, talk about how the facts in two books about the same topic are alike and different (e.g., in two books about construction vehicles, notice that one includes two kinds of dump trucks). With teacher assistance, talk about how the pictures and facts in two books about the same topic are alike and different (e.g., in two books about birds, notice that they both have many birds with red beaks and show different kinds of nests). Demonstrate increasing awareness of and competence in emergent reading skills and abilities. 4.A.ECa: Recognize the differences between print and pictures. 4.A.ECb: Begin to follow words from left to right, top to bottom, and page by page. 4.A.ECc: Recognize the one‐to‐one relationship between spoken and written words. 4.A.ECd: Understand that words are separated by spaces in print. 4.A.ECe: Recognize that letters are grouped to form words. 4.A.ECf: Differentiate letters from numerals. Identify that labels and signs in the classroom are words. Ask to have words read (e.g., “What does this say?”). Seek out print to gather information (e.g., check the attendance chart to see who is at school today; check the job chart to see whose turn it is to feed the fish). During shared reading experiences, practice tracking from page to page with the group. During shared reading experiences, practice tracking print from top to bottom of the page. During shared reading experiences, practice tracking print from left to right and top to bottom of the page. Point to one word (e.g., “Can you show me just one word?). Correctly identify that two words are presented. Count number of words on a page or in a line of print in a book containing just a few words on the page (e.g., “How many words are on this page? Can you count them?”). Point to a single letter (e.g., “Can you show me just one letter?”). Count number of letters in own name (e.g., “How many letters are in your name? Can you count them?”). Count number of letters in one or more friends’ or family members’ names (e.g., “How many letters are in this name? Can you count them?”). Distinguish one letter from one numeral. Distinguish two or three letters from two or three numerals. Sort more than three letters and numerals into separate groups. Demonstrate an emerging knowledge and understanding of the alphabet. 4.B.ECa: With teacher assistance, recite the alphabet. 4.B.ECb: Recognize and name some upper/lowercase letters of the alphabet, especially those in own name. 4.B.ECc: With teacher assistance, match some upper/lowercase letters of the alphabet. 4.B.ECd: With teacher assistance, begin to form some letters of the alphabet, especially those in own name. With teacher assistance, sing or chant part of the alphabet with others. With teacher assistance, sing or chant part of the alphabet alone or with others. With teacher assistance, sing, chant, or recite the alphabet alone or with others. Point to and name some letters in own name. Point to and name most letters in own name. Point to and name letters in own name and some other upper/ lowercase letters. With teacher assistance, engage in letter sorting and matching activities (e.g., find two magnetic letters that look exactly the same). With teacher assistance, engage in letter sorting and matching activities (e.g., from a small container of letters, locate all the m’s). With teacher assistance, engage in letter sorting and matching activities (e.g., locate letters that are and are not in own name). With teacher assistance, use a small group of letters that represent both upper and lower case (e.g., Ss, Mm, Oo, Pp) to match one upper- and lowercase letter (may be from own name). With teacher assistance, use a small group of letters that represent both upper and lower case (e.g., Ss, Mm, Oo, Pp) to match two to three upper- and lowercase letters. With teacher assistance, use a small group of letters that represent both upper and lower case (e.g., Ss, Mm, Oo, Pp) to match more than three upper- and lowercase letters. Demonstrate an emerging understanding of spoken words, syllables, and sounds (phonemes). 4.C.ECa: Recognize that sentences are made up of separate words. 4.C.ECb: With teacher assistance, recognize and match words that rhyme. 4.C.ECc: Demonstrate ability to segment and blend syllables in words (e.g., “trac/tor, tractor”). 4.C.ECd: With teacher assistance, isolate and pronounce the initial sounds in words. 4.C.ECe: With teacher assistance, blend sounds (phonemes) in one‐syllable words (e.g., /c/ /a/ /t/ = cat). 4.C.ECf: With teacher assistance, begin to segment sounds (phonemes) in one-syllable words (e.g., cat = /c/ /a/ /t/). 4.C.ECg: With teacher assistance, begin to manipulate sounds (phonemes) in one-syllable words (e.g., changing cat to hat to mat). Recognize words forming sentences as s/he dictates to the teacher. Show awareness of words in a sentence (e.g., clap each word in a sentence). Indicate the number of words in a sentence (e.g., count each word in a sentence). With teacher assistance, recite finger plays, chants, rhymes, and poems containing rhyming words. With teacher assistance, provide rhyming words in songs, poems, or books with a rhyming pattern (e.g., “Jack and Jill went up the .”). With teacher assistance, identify rhymes in songs, poems, or books (e.g., “Hey, that sounds like ‘whale’ – ‘pail’, ‘whale’.”). Provide second syllable for common words when teacher provides the first syllable (e.g., “I am holding a pen .” Child says “cil” to make the word “pencil”.). Show awareness of syllables in a word (e.g., clap each syllable in a word). Indicate the number of syllables in a word (e.g., count or clap each syllable in a word). With teacher assistance, respond when teacher stretches the sounds of his/her name. With teacher assistance, state word when teacher stretches the sounds (e.g., “Whose turn is it to line up after you? Ssssss-aaaaaammmm.” Child says “Sam.”). With teacher assistance, stretch out sounds in words with teacher (e.g., “Let’s stretch the sounds to help us write the word ‘can’.”). Demonstrate emergent phonics and word-analysis skills. 4.D.ECa: Recognize own name and common signs and labels in the environment. 4.D.ECb: With teacher assistance, demonstrate understanding of the one-to-one correspondence of letters and sounds. 4.D.ECc: With teacher assistance, begin to use knowledge of letters and sounds to spell words phonetically. Identify own first name (e.g., point to own name on cubby and say, “That says Jason!” or find name card at sign-in time). Recognize environmental print and one or two classmates’ names (e.g., road signs from a restaurant or a local store). Identify labels (e.g., the words posted to identify various centers, objects, and materials) and more than two classmates’ names in the classroom. With teacher assistance, respond to prompts about the sound associated with a specific letter, especially the first letter of his/her name (e.g., “Your name starts with the letter ‘m’. Can you remember the sound that this letter makes?”). With teacher assistance, identify the sound of the beginning letter of a word (e.g., “What letter makes the sound you hear at the beginning of the word ‘snake’?”). With teacher assistance, identify examples of alliteration (e.g., saying that the words “big blue bouncing ball” all begin with the /b/ sound). With teacher assistance, identify individual sounds by saying names of classmates that begin with the sound that is made by a specific letter. With teacher assistance, identify individual sounds through activities such as naming words that begin with the sound that is made by a specific letter. With teacher assistance, spell words phonetically, using known letter sounds (e.g., “s” for snake, “kt” for cat). Demonstrate increasing awareness of and competence in emergent writing skills and abilities. Demonstrate growing interest and abilities in writing. 5.A.ECa: Experiment with writing tools and materials. 5.A.ECc: With teacher assistance, write own first name using appropriate upper/lowercase letters. Choose one type of writing material to engage in making marks or scribbles identified as a name. Choose one or two types of writing materials (e.g., markers, pencils) to engage in making letterlike forms identified as a name. Use a variety of writing materials (e.g., markers, pencils, crayons, chalk) to attempt to write own name and/or the names of friends and family members. Make marks or scribbles and identify as writing in play activities, such as developing a grocery list during dramatic play or a sign for a block construction. Make letterlike forms and identify as writing in play activities, such as developing a grocery list during dramatic play or a sign for a block construction. Make letters or words in play activities, such as developing a grocery list during dramatic play or a sign for a block construction. With teacher assistance, make marks or scribbles to represent own name on sign-up charts, drawings, and other pieces of work. With teacher assistance, make letterlike forms to represent own name on sign-up charts, drawings, and other pieces of work. With teacher assistance, write increasingly recognizable letters of own name on sign-up charts, drawings, and other pieces of work. If available, show interest in letters on an electronic keyboard (e.g., computer, iPad). If available, show interest in letters in own name on an electronic keyboard (e.g., computer, iPad). If available, and with teacher assistance, locate and type letters in own name on an electronic keyboard (e.g., computer, iPad). Use writing to represent ideas and information. 5.B.ECa: With teacher assistance, use a combination of drawing, dictating, or writing to express an opinion about a book or topic. 5.B.ECb: With teacher assistance, use a combination of drawing, dictating, or writing to compose informative/explanatory texts in which they name what they are writing about and supply some information about the topic. 5.B.ECc: With teacher assistance, use a combination of drawing, dictating, or writing to narrate a single event and provide a reaction to what happened. Contribute personal opinions to be included in group-dictated pieces of writing (e.g., “My favorite food is ____,” “I like ____ because ____.”). Contribute factual information to be included in group-dictated pieces of writing (e.g., brainstorm characteristics of a familiar type of animal, food, or vehicle; recall and share true information about a familiar topic). Contribute to group-dictated stories about a shared experience (e.g., tell about something that happened on a field trip; describe how the dramatic play area was changed into a pet store and new ways the child was able to use that area of the room). With teacher assistance, draw a picture about a personal event that took place and dictate to the teacher to share information and feelings about it. With teacher assistance, draw a picture about a personal event that took place and use scribbles and/or letterlike forms to share information and feelings about it. With teacher assistance, draw a picture about a personal event that took place and use scribbles, letterlike forms, letters, and/or words to share information and feelings about it. With teacher assistance, participate in making decisions for a group- dictated piece of writing created electronically (e.g., on a computer, iPad, or Smart Board). With teacher assistance, participate in making decisions for a group- dictated piece of writing in which photographs will be taken to use for illustrations. 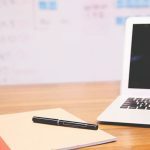 With support from the teacher, use electronic means (e.g., a computer, iPad, or Smart Board) to create a piece of writing. Use writing to research and share knowledge. 5.C.ECa: Participate in group projects or units of study designed to learn about a topic of interest. 5.C.ECb: With teacher assistance, recall factual information and share that information through drawing, dictation, or writing. Join in an activity to learn about a topic of interest to the group. Join in multiple activities to learn about a topic of interest to the group. 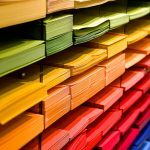 Join in multiple activities to learn about a topic of interest to the group and contribute documentation to the study (whether it be drawings, photos, or writing). With teacher assistance, share through dictation factual information gained from hands-on experiences or written sources. With teacher assistance, share through drawing factual information gained from hands-on experiences or written sources. With teacher assistance, share through writing (whether scribbles, letterlike shapes, letters, or words) factual information gained from hands-on experiences or written sources. Demonstrate and apply a knowledge and sense of numbers, including numeration and operations. Demonstrate beginning understanding of numbers, number names, and numerals. 6.A.ECa: Count with understanding and recognize “how many” in small sets up to 5. 6.A.ECb: Use subitizing (the rapid and accurate judgment of how many items there are without counting) to identify the number of objects in sets of 4 or less. 6.A.ECc: Understand and appropriately use informal or everyday terms that mean zero, such as “none” or “nothing”. 6.A.ECd: Connect numbers to quantities they represent using physical models and informal representations. 6.A.ECe: Differentiate numerals from letters and recognize some single‐digit written numerals. 6.A.ECf: Verbally recite numbers from 1 to 10. 6.A.ECg: Be able to say the number after another in the series up to 9 when given a “running start,” as in “What comes after one, two, three, four…?”. Recognize how many there are in a set of 1 or 2 without counting them (e.g., one car or two blue crayons). Recognize how many there are in a set of 3 without counting them (e.g., three yellow beads). Recognize how many there are in sets of 4 and 5 when presented in a nonlinear, organized fashion (like a die face). Point to or move objects around as though to organize without necessarily counting out loud. Point to or move objects when counting out loud without effectively tracking items counted (may skip items or count items more than once). Point to or move each object to make sure sure each is counted once and only once when counting in sets up to 5. Confuse numerals and letters, saying number names occasionally when pointing to letters. Say number names when pointing to numerals (but not letters), even if they don’t match. Correctly identify the numerals 1, 2, and 3. Say some counting words when “counting.” Recite counting words from 1-10, with 2-4 errors (e.g., skip numbers, mix up order) but also some number names in words in consecutive order (e.g., “one, two, five, four, six, seven, nine, ten”). Recite counting words in order from 1-10 (with an occasional error). Fill in the next number when the teacher says, “one, two…” Fill in the next number when the teacher says, “one, two, three…” Fill in the next number when the teacher says, “three, four, five…” (not starting at “one”). Add and subtract to create new numbers and begin to construct sets. 6.B.ECa: Recognize that numbers (or sets of objects) can be combined or separated to make another number. 6.B.ECc: Identify the new number created when small sets (up to 5) are combined or separated. 6.B.ECd: Informally solve simple mathematical problems presented in a meaningful context. 6.B.ECe: Fairly share a set of up to 10 items between two children. Count out two objects correctly (e.g., count two crackers on plate at snack time). Count out three and four objects correctly (e.g., count four blocks in a block tower). Count out five objects correctly (e.g., count five children in a small group). Solve simple math problems (e.g., know that if one child is added to the group that makes one more). Solve simple math problems (e.g., know that if one chair is taken away from the table that makes less). Solve simple math problems (e.g., know that if one orange is taken away from a group of five, there are four oranges left). Divide a set of two to four objects between self and a friend evenly. Divide a set of six to nine objects between self and a friend evenly. Divide a set of 10 crackers between self and a friend evenly. Begin to make reasonable estimates of numbers. 6.C.ECa: Estimate number of objects in a small set. Make reasonable estimates of small quantities of objects (e.g., guess “four” when asked how many peach slices are in the bowl). Tell whether a set is more or less than 5. Presented with a set of 7 or 8, estimate a number in the range of 5 to 12. Compare quantities using appropriate vocabulary terms. 6.D.ECa: Compare two collections to see if they are equal or determine which is more, using a procedure of the child’s choice. 6.D.ECb: Describe comparisons with appropriate vocabulary, such as “more”, “less”, “greater than”, “fewer”, “equal to”, or “same as”. Match sets of things that go together, item to item (e.g., match one napkin to each of the place settings at the table). Through words or gestures, identify which set has more. Through words or gestures, identify whether sets have more, less, or an equal amount. Use the terms “more” or “same as” (e.g., acknowledge that one child has more pegs and another has the same number). Use the terms “less”, “not as many”, or “fewer” (e.g., acknowledge that one child has less play dough than others do). Use a variety of appropriate vocabulary to make comparisons of quantity (e.g., “more”, “less”, “greater than”, “fewer”, “equal to”, or “same as”). Explore measurement of objects and quantities. Measure objects and quantities using direct comparison methods and nonstandard units. 7.A.ECa: Compare, order, and describe objects according to a single attribute. 7.A.ECb: Use nonstandard units to measure attributes such as length and capacity. 7.A.ECc: Use vocabulary that describes and compares length, height, weight, capacity, and size. 7.A.ECd: Begin to construct a sense of time through participation in daily activities. Compare magnitudes of one object to another (e.g., line up two strings of beads to determine which is longer; stand next to peer to see who is taller). Order multiple objects to compare magnitudes (i.e., arrange blocks from tallest to shortest). Order multiple objects to compare magnitudes and describe comparisons (i.e., arrange blocks from tallest to shortest and describe). Use nonstandard means to measure items (e.g., using a piece of string or a long block as a measurement tool). Use nonstandard units to measure items (e.g., use hands or small blocks to measure the length of a table). Use nonstandard units to measure items and identify the quantity of units (e.g., may not be correct but attempt to count the number of hands or small blocks in the length of the table). Use appropriate vocabulary when making measurements, such as “small”, “big”. Use appropriate vocabulary when making measurements, such as “small”, “big”, “short”, “tall”. Use a wider appropriate vocabulary when making measurements, such as “small”, “big”, “short”, “tall”, “empty”, “full”, “heavy”, and “light”. Ask about the sequence of the daily schedule (e.g., “When will we have snack?” “When are my Mom and Dad coming?”). Know the sequence of the daily schedule and guess the progression of the schedule throughout the day but not with accuracy (e.g., guess incorrectly that snack is after circle time yet knows that Mom or Dad will come after outside time). Know the sequence of the daily schedule and begin to accurately gauge time by progression of the schedule throughout the day (e.g., know that naptime comes after lunch or that outside time comes after snack). Begin to make estimates of measurements. 7.B.ECa: Practice estimating in everyday play and everyday measurement problems. Make predictions and estimations during play without much accuracy (e.g., estimate how many scoops of sand it will take to fill a small bucket at the sand table — “I think 100!”). Make more accurate predictions and estimations during play without checking by counting (e.g., estimate how many pebbles will fill the balance scale cup, “I think 10” but without counting to check). Make more accurate predictions and estimations during play and check them by counting (e.g., “I think it will take five scoops of sand to fill this cup – 1, 2, 3, 4, 5, 6 – oh, I was almost right!”). Estimate to solve a task without much accuracy (e.g., when setting table for snack, estimate how many napkins are needed. “I think 50.”). Estimate to solve a task with more accuracy but without checking by counting (e.g., during block play, estimate how many blocks are needed to make the road being constructed reach the wall, “I think six” – but without counting to check). Estimate to solve a task with more accuracy and check by counting (e.g., during block play, estimate how many blocks are needed to make the road being constructed reach the wall, then count to see how many it took). Explore tools used for measurement. 7.C.ECa: With teacher assistance, explore use of measuring tools that use standard units to measure objects and quantities that are meaningful to the child. 7.C.ECb: Know that different attributes, such as length, weight, and time, are measured using different kinds of units, such as feet, pounds, and seconds. Incorporate teacher-introduced standard measuring tools into play without attention to quantity. With teacher assistance, use standard measuring tools without expressing interest in quantity (e.g., teacher suggests they see how many rulers high the shelf is; child helps with measuring). Ask teacher to help with using standard measuring tools and figuring out quantities (e.g., use a measuring tape and ask how long the two blocks are). Learn the vocabulary words “thermometer” and “clock”. With teacher assistance, explore measuring hot and cold with thermometers. With teacher assistance, learn that clocks measure time. With teacher assistance, use a balance scale to compare weights of objects in the classroom. With teacher assistance, use a scale that provides numerical weight to compare weights of objects in the classroom. With teacher assistance, use a variety of similar tools for measurement of weight (e.g., use both balance scales and scales that provide a numerical weight to explore objects in the classroom). Identify and describe common attributes, patterns, and relationships in objects. 8.A.ECa: Sort, order, compare, and describe objects according to characteristics or attribute(s). 8.A.ECb: Recognize, duplicate, extend, and create simple patterns in various formats. Match similar objects when an attribute is named (e.g., “Which rocks are smooth like this one?” “Can you find another ball that’s this big?”). Compare and describe various objects, identifying one of their attributes (e.g., describe different rocks by referring to their size, shape, or weight). Compare and describe various objects, identifying at least two of their attributes (e.g., describe different rocks by referring to their size and shape or texture and weight). Match similar objects (e.g., putting all the toy cars together or lining up plates on a table). Sort objects by a single attribute (e.g., ordering fire trucks from shortest to longest or ordering rocks from smooth to rough). Sort objects according to two different characteristics and describe a sorting strategy (e.g., sort crayons by color and size, “Here are the big red ones and there are the little blue ones”, or sort blocks by shape and color, “These are all yellow triangles and these are the green rectangles”). Attempt to create a simple A-B repeating pattern using early childhood materials but without maintaining the repeating pattern (e.g., makes colored marks on the white board beginning with black, green, black, then adds red, green, black, blue, black). Successfully create a simple A-B repeating pattern using classroom objects (e.g., build a tower of alternating blue and red cubes). Create a simple A-B-C or A-B-B repeating pattern using classroom objects (e.g., lines up people figures with small, medium, large as the repeating pattern; strings beads on a necklace with one yellow, two orange in a repeating pattern). Describe and document patterns using symbols. 8.B.ECa: With adult assistance, represent a simple repeating pattern by verbally describing it or by modeling it with objects or actions. With adult assistance, describe a pattern in words (e.g., “tall, short, tall, short, tall, short” or “red, blue, yellow, red, blue, yellow, red, blue, yellow”). When presented with a visual “red-blue, red-blue, red-blue” repeating pattern and told “do a clap for red and a tap for blue,” produce clap-tap, clap-tap, clap-tap with adult assistance. When presented with a visual “circle-square, circle-square, circle-square” repeating pattern and told “do a green bear for circles and a yellow bear for squares,” produce green bear-yellow bear, green bear-yellow bear, green bear-yellow bear pattern with adult assistance. Explore concepts of geometry and spatial relations. Recognize, name, and match common shapes. 9.A.ECa: Recognize and name common two- and three-dimensional shapes and describe some of their attributes (e.g., number of sides, straight or curved lines). 9.A.ECb: Sort collections of two‐ and three‐dimensional shapes by type (e.g., triangles, rectangles, circles, cubes, spheres, pyramids). 9.A.ECc: Identify and name some of the faces (flat sides) of common three‐dimensional shapes using two-dimensional shape names. 9.A.ECe: Think about/imagine how altering the spatial orientation of a shape will change how it looks (e.g., turning it upside down). Identify the shape of various twodimensional items in the early childhood environment (e.g., state that the clock is shaped like a circle or that the table top is a rectangle). Identify the shape of various twodimensional items in the classroom and describe their attributes (e.g., state that a square block has four sides and a triangle block has three sides). Identify the shape of various twoand three-dimensional items in the early childhood environment and describe their attributes (e.g., “I used all these ‘rolling blocks’ (cylinders) to hold up my bridge.”). Match triangles to triangles, squares to squares, circles to circles, and rectangles to rectangles. Match triangles to triangles, squares to squares, circles to circles, and rectangles to rectangles even when size (or proportion) differs among examples. Match cubes, spheres, and pyramids, even when size differs among examples. Match the face (flat side) of one common three-dimensional shape to another (e.g., match the face of one cube to another or one cylinder to another). Describe the face (flat side) of one common three-dimensional shape (cube or cylinder) using two-dimensional shape names (square or circle). Describe the faces (flat sides) of more than one common threedimensional shape, such as cubes and cylinders, using twodimensional shape names, such as squares and circles. Use one common two-dimensional shape to create simple representations of things in the real world (e.g., line up several rectangle blocks to make a “road”). Use more than one common two-dimensional shape to create representations of things in the real world (e.g., place small square blocks on the “road” to be the “cars”). Use common two-dimensional shapes to create more complex representations of things in the real world (e.g., place triangles around a circle to make a “flower”). Rotate and flip shapes, such as blocks and puzzle pieces, to make them “fit.” Rotate and flip a shape to create something different (e.g., place the rectangle on its short or long side). Discuss with teacher how rotating and flipping a shape will create something different (e.g., Teacher: “What do you think will happen if you turn the triangle upside down? Let’s try it.” Child: “It stands up by itself!”). Demonstrate an understanding of location and ordinal position, using appropriate vocabulary. 9.B.ECa: Show understanding of location and ordinal position. 9.B.ECb: Use appropriate vocabulary for identifying location and ordinal position. Respond appropriately to request to place an object somewhere in space in relation to other objects (e.g., put doll in front of pillow; place shoes under table). Respond to questions about location of an object (e.g., respond correctly to questions such as “Which colored block is on top?”). Respond to questions about ordinal position of an object (e.g., respond correctly to questions such as “Who is first in line?” or “Which car came in third?”). Attempt to use vocabulary for location during play activities, not always correctly (e.g., when asked, say the doll is under the pillow when she is in front). 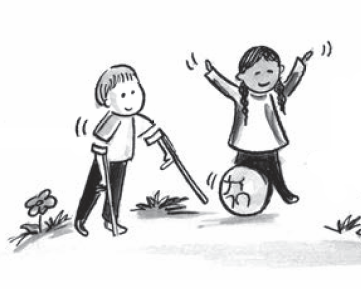 Use appropriate vocabulary for location during play activities (e.g., in conversations, use terms such as “near” and “far”, “over”and “under”). Use appropriate vocabulary for ordinal position during play activities (e.g., in conversations, use terms such as “first” and “last”, “second” and “third”). Begin to make predictions and collect data information. Generate questions and processes for answering them. 10.A.ECa: With teacher assistance, come up with meaningful questions that can be answered through gathering information. With teacher assistance, identify a “yes” or “no” question to ask a peer and report verbally to teacher. With teacher assistance, identify a “yes” or “no” question to ask multiple peers, recording on a “yes” or “no” chart or clipboard. With teacher assistance, formulate questions of personal interest (make a list of things to find out about, such as favorite cookies or how children get to school each day) and conduct surveys on charts or clipboards. Notice a change in the environment and comment (e.g., “We need more paintbrushes at the easel.”). Discuss one aspect of their environment and then collect relevant information with teacher assistance as needed (e.g., discuss whether trees have buds yet and go outside to check). Discuss more than one aspect of their environment and then collect relevant information with teacher assistance as needed (e.g., discuss what kinds of insects live on the school playground and then go outside to investigate). Organize and describe data and information. 10.B.ECa: Organize, represent, and analyze information using concrete objects, pictures, and graphs, with teacher support. 10.B.ECb: Make predictions about the outcome prior to collecting information, with teacher support and multiple experiences over time. Organize materials with teacher support to prepare for graphing (e.g., sort leaves by color, sort fruit by type). Participate in creating a data display using concrete objects or pictures with teacher support (e.g., organize children’s favorite fruit in rows to demonstrate whether more children prefer apples or oranges). Compare numerical information derived from graphs to find answers to questions with teacher support as needed (e.g., use information depicted on a chart or graph to describe which classroom games are most popular). With teacher support, begin to predict the outcome of an activity (e.g., predict there are more boys than girls at the snack table). With teacher support, provide a reasonable prediction or guess for the outcome of an activity (e.g., predict that the class collected more yellow than red leaves on the nature walk before sorting and counting them). With teacher support, predict with more accuracy the outcome of a counting or comparison activity (e.g., predict how many more chairs, when three are already there, are needed for the small group table so that six children can all have a seat). Determine, describe, and apply the probabilities of events. 10.C.ECa: Describe likelihood of events with appropriate vocabulary, such as “possible”, “impossible”, “always”, and “never”. Attempt to use vocabulary to describe likelihood, but not always with accuracy (e.g., “My birthday is always on Saturday.”). Use vocabulary terms “always” and “never” in reasonable ways to describe the likelihood of an event (e.g., “Spring always comes after winter” or “We will never have an elephant as a class pet”). Use vocabulary terms “possible” and “impossible” to describe the likelihood of an event (e.g., “It’s impossible to walk on the ceiling” or “It’s possible to sit on the chair”). Demonstrate curiosity about the world and begin to use the practices of science and engineering to answer questions and solve problems. Develop beginning skills in the use of science and engineering practices, such as observing, asking questions, solving problems, and drawing conclusions. 11.A.ECa: Express wonder and curiosity about their world by asking questions, solving problems, and designing things. 11.A.ECb: Develop and use models to represent their ideas, observations, and explanations through approaches such as drawing, building, or modeling with clay. 11.A.ECc: Plan and carry out simple investigations. 11.A.ECd: Collect, describe, compare, and record information from observations and investigations. 11.A.ECe: Use mathematical and computational thinking. 11.A.ECf: Make meaning from experience and information by describing, talking, and thinking about what happened during an investigation. 11.A.ECg: Generate explanations and communicate ideas and/or conclusions about their investigations. Show curiosity and interest in the world around them and ask why questions (e.g., “Why is the sidewalk shiny from the rain?” “How come it smells so good in here?” when muffins are baking). Participate in a discussion about why things happen (e.g., describe why some objects roll and others do not). Pose what, why, and how questions about the world around them (e.g., ask why some objects move when placed near a magnet, what made the hole in the acorn, or where do ants live). Represent through actions or materials the physical characteristics of a natural object (e.g., crawl like a worm, mix colors of paint to show the colors of leaves changing on a tree, make an acorn out of clay). Draw the physical characteristics of something observed (e.g., record the growth of a sprouting seed through drawings). Draw the physical characteristics of something observed and describe the characteristics with words (e.g., record the growth of a sprouting seed through drawings and describe the changes observed). Use the senses to investigate and make comparisons (e.g., compare textures of objects using the sense of touch). Investigate simple cause and effect or other scientific principles such as magnetism and gravity through play activities (e.g., observe that a toy car rolls slower when a ramp is lowered or that block towers consistently fall downward). With teacher assistance, conduct an investigation, predicting and testing results (e.g., mixing colors into cup of water, predicting changes with each new color added, then testing results). Use materials to design solutions to problems (e.g., after trial and error, realize which blocks work best to create a stable bridge for toy cars to roll across). Use simple charts to collect data (e.g., test a collection of objects to see which bounce and record the results). Use simple graphs to collect data (e.g., organize all of the autumn leaves collected outdoors into a color graph). Explore concepts and information about the physical, earth, and life sciences. Understand that living things grow and change. 12.A.ECa: Observe, investigate, describe, and categorize living things. Identify and describe the different structures of familiar mammals (e.g., explain that dogs and cats have eyes and ears). Identify and describe the different structures of familiar plants and a greater range of animals (e.g., explain that plants have leaves, stems, and roots and that fish have fins and gills). Identify things as living or nonliving based on characteristics such as breathing, movement, and growth. Observe similarities and differences when viewing pictures of self, beginning in infancy. Observe living things to see how they change over time (e.g., compare a variety of plants to observe how quickly they grow and change over time). Understand that living things grow and change. Can use drawings or other forms of representation to describe changes familiar to them (e.g., record changes in a nearby tree through the seasons). Understand that living things rely on the environment and/or others to live and grow. 12.B.ECa: Describe and compare basic needs of living things. Compare human basic needs to those of other living things. Compare what different animals need to live and grow. 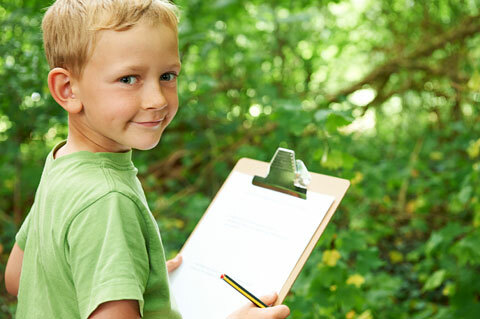 Observe, describe, and compare the habitats of various plants and animals. Show awareness of the need to care for living things (e.g., water plants, feed pets, put food out for birds). Take responsibility for caring for living things (e.g., water plants, feed pets, put food out for birds). Describe and compare how changes in the seasons and weather affect plants and animals. Explore the physical properties of objects. 12.C.ECa: Identify, describe, and compare the physical properties of objects. 12.C.ECb: Experiment with changes in matter when combined with other substances. Match objects according to physical properties, such as color, texture, or shape. Sort objects according to physical properties, such as color, texture, or shape. Explore and describe the properties of different objects using the senses of touch, smell, taste, sight, and hearing. Explore and discuss simple chemical reactions with teacher assistance (e.g., mix substances such as baking soda and water and describe what happens). Explore changes in matter with teacher assistance (e.g., make gelatin to show that matter changes from a liquid to a solid or melt ice to show how solids change to a liquid). Recognize that some changes in matter are reversible and some are not (e.g., water can be changed to ice and become water again; flour used to make play dough cannot be returned to its original state). Explore concepts of force and motion. 12.D.ECa: Describe the effects of forces in nature. 12.D.ECb: Explore the effect of force on objects in and outside the early childhood environment. Describe and compare the effects of common forces, such as pushing and pulling. Explore the effects of simple forces in nature, such as wind, gravity, and magnetism. Describe the effects of simple forces in nature, such as wind, gravity, and magnetism. Explore and describe the motion of toys and objects (e.g., compare how cars roll on ramps when placed at different angles). Recognize and describe the effect of actions on objects (e.g., explain what happens if one blows on a pinwheel or kicks a ball). Explore the impact of their own use of force and motion on objects (e.g., can control the distance a ball travels by using a gentle or hard kick). Explore concepts and information related to the Earth, including ways to take care of our planet. 12.E.ECa: Observe and describe characteristics of earth, water, and air. 12.E.ECb: Participate in discussions about simple ways to take care of the environment. Investigate and identify physical properties and characteristics of water as a solid and liquid. Explore and compare the size, shape, weight, and texture of minerals and rocks (e.g., sort rocks by rough/smooth or small/large). Investigate and discuss similarities and differences in samples of soil, such as a clay, sand, potting soil, and dirt from the playground (e.g., sift or add water to sand and compare). Show some awareness of reusing and recycling materials. Participate in reusing and recycling materials. Identify ways to protect the environment (e.g., participate in discussions about conservation strategies such as turning off lights, turning off water faucets, and not littering). Explore changes related to the weather and seasons. 12.F.ECa: Observe and discuss changes in weather and seasons using common vocabulary. Describe changes in weather. Participate in discussions about the differences in the seasons. Discuss which seasons are more appropriate for certain activities (e.g., explain that leaves are raked in the fall, that sledding takes place in winter). Describe and create representations of clouds. Explore the effects of the sun on objects (e.g., feel the difference in temperature in objects placed in sunlight and shade). Participate in activities that require one to understand differences between the seasons (e.g., match appropriate clothes to the right season). Understand important connections and understandings in science and engineering. Understand rules to follow when investigating and exploring. 13.A.ECa: Begin to understand basic safety practices one must follow when exploring and engaging in science and engineering investigations. Participate in discussion about safety when using the senses to explore things (e.g., talk with peers about not building blocks over their shoulders because they could fall and hit their heads). Participate in discussions about safety before acting when using the senses to explore things (e.g., understand the need be cautious when touching things that may be hot, such as light bulbs, and not to lick or taste unknown substances). Ask teacher about safety before acting when using the senses to explore things (e.g., “Is it okay if I touch this, teacher?” “I need safety goggles for the workbench, huh, teacher?”). Use tools and technology to assist with science and engineering investigations. 13.B.ECa: Use nonstandard and standard scientific tools for investigation. Try out one or two tools to explore the world (e.g., look at classroom through a prism, study natural items under a magnifying glass). Use a variety of tools, such as magnifiers, balance scales, and thermometers, to explore the world and learn how things work. Use standard and nonstandard tools and technology in pretend play (e.g., ruler, scale, or yarn to measure, rocks to compare weight, cardboard tube to amplify a voice). Observe teacher using technology to aid in investigation, exploration, and scientific inquiry. Make suggestion to use technology to aid in investigation, exploration, and scientific inquiry. Use technology, such as a computer or camera, to aid in investigation, exploration, and scientific inquiry. Understand some concepts related to citizenship. Understand what it means to be a member of a group and community. 14.A.ECa: Recognize the reasons for rules in the home and early childhood environment and for laws in the community. 14.A.ECb: Contribute to the well‐being of one’s early childhood environment, school, and community. Engage in conversation with teacher about fairness and sharing when a conflict needs to be resolved. Participate in discussions about fairness and sharing in general conversations. Demonstrate an understanding of fairness and sharing (e.g., accepts the need to wait for a turn with a toy). Participate in activities that benefit the group as a whole, such as cleaning up after play or watering an early childhood environment plant. Participate in making group rules and/or rules for routines and transitions. Display awareness of role as a member of a group and that rules are made to benefit the members of a group (e.g., explain that hitting isn’t allowed because someone might get hurt). Understand the structures and functions of the political systems of Illinois, the United States, and other nations. Understand ways groups make choices and decisions. 14.C.ECa: Participate in voting as a way of making choices. Demonstrate preferences and choices when the group votes to make simple decisions. Participate in discussions about how voting works (e.g., that the majority vote wins). Demonstrate an understanding of the outcome of a vote (e.g., recognize and accept that the majority vote wins). Understand the role that individuals can play in a group or community. 14.D.ECa: Develop an awareness of what it means to be a leader. 14.D.ECb: Participate in a variety of roles in the early childhood environment. Assume simple leadership roles (e.g., take on role of line leader). Take responsibility in simple leadership roles (e.g., as snack helper, ask about and perform the necessary tasks). Assume the role of teacher’s helper (e.g., table helper; person who waters the plant; pass out plates, cups, and spoons for snack). Identify roles that children play in the group (e.g., line leader, person who selects the afternoon story). Act out various roles that a person might play within a group (e.g., pretend to be a teacher, student, parent, or child during dramatic play). Identify and describe roles that children play in the group (e.g., line leader, person who selects the afternoon story). Understand United States foreign policy as it relates to other nations and international issues. Understand the development of United States’ political ideas and traditions. Explore economic systems and human interdependence. Explore roles in the economic system and workforce. 15.A.ECb: Discuss why people work. Identify commonly known community workers and the services they provide (e.g., describe the work of firefighters, nurses, mail carriers, doctors, and police officers). Act out roles of commonly known community workers in dramatic play (e.g., pretend to be a cashier in a grocery store). Identify tools and equipment that correspond to various roles and jobs of commonly known community workers. Participate in a discussion about jobs their family members may have. Participate in a discussion that relates work to earning money. Participate in a discussion that relates work to services provided (e.g., to teach, to take care of people, to take care of cars, to manage a business). Explore issues of limited resources in the early childhood environment and world. 15.B.ECa: Understand that some resources and money are limited. Participate in a conversation about taking turns with materials when there is not enough for everyone to have their own. Recognize equal distribution when sharing a snack, materials, or toys among a group. Contribute to a community service activity of the class (e.g., collecting food for the needy, recycling early childhood materials). Explore concepts about trade as an exchange of goods or services. 15.D.ECa: Begin to understand the use of trade or money to obtain goods and services. Engage in trading with peers (e.g., trade two pretzels for two crackers at snack or two small cars for one big truck during play). Understand that money is needed to obtain goods and services (e.g., while playing store, ask other children to pay for goods; explain that you must pay for things that you get at the store). Demonstrate understanding that payment or money comes in different forms, such as coins, money, credit cards, and bartering goods (e.g., while playing store, offer to pay for goods with credit card, check, or cash). Develop an awareness of the self and his or her uniqueness and individuality. Explore his or her self and personal history. 16.A.ECa: Recall information about the immediate past. 16.A.ECb: Develop a basic awareness of self as an individual. Answer questions such as “How did you get to school today?” or “In what centers did you play today?” Draw or write about something that happened at school. Use phrases that differentiate between events that happened in the past and are happening in the present (e.g., describe events that took place yesterday or are happening today). Discuss things that s/he likes and dislikes. Demonstrate awareness of self at a younger age (e.g., bring in picture of self as an infant). Participate in discussions about his or her past (e.g., explain that “When I was little, I could not ride a tricycle, but now I can”). Understand the development of significant political events. Understand the development of economic systems. Understand Illinois, United States, and world social history. Understand Illinois, United States, and world environmental history. Explore geography, the child’s environment, and where people live, work, and play. Explore environments and where people live. 17.A.ECa: Locate objects and places in familiar environments. 17.A.ECb: Express beginning geographic thinking. Follow directions to find objects or materials in the early childhood environment (e.g., can find crayons if told that they are next to the glue). Engage in basic mapping activities (e.g., place pictures of common household items in a map showing the correct room, such as placing the toaster in the kitchen and the bed in the bedroom). Discuss a diagram of the early childhood environment showing where various features of the room are located. Participate in a discussion about maps and diagrams. Comment on a diagram showing how mats are arranged at naptime. Describe basic topographical features, such as hills, rivers, and roads. Analyze and explain characteristics and interactions of the Earth’s physical systems. Understand relationships between geographic factors and society. Understand the historical significance of geography. Explore people, their similarities, and their differences. 18.A.ECa: Recognize similarities and differences in people. Distinguish boys from girls. Notice differences in physical characteristics between self and others. Describe similarities and differences in physical characteristics between self and others (e.g., comment on characteristics such as hair length, skin color, age, and height). Develop an awareness of self within the context of family. 18.B.ECa: Understand that each of us belongs to a family and recognize that families vary. Compare photos of families and identify members of own family. Compare photos of families and discuss the variety of family structures. Role-play a variety of family members in dramatic play. Understand how social systems form and develop over time. Acquire movement skills and understand concepts needed to explore the environment, support learning, and engage in health‐enhancing physical activity. Demonstrate physical competency and control of large and small muscles. 19.A.ECb: Move with balance and control in a range of physical activities. 19.A.ECd: Use eye-hand coordination to perform tasks. 19.A.ECe: Use writing and drawing tools with some control. Exhibit body control while running (e.g., run in and out of cones in a figure eight or change directions while moving and step down from higher surface instead of jumping). Move in general space throughout the play area exhibiting adequate body control and safety. Demonstrate the skills of climbing (ladders, playground equipment), hopping (on one foot), and jumping (can jump over objects 4-6 inches high and land on both feet). Exhibit balance while using gross-motor equipment. Exhibit balance, control, and coordination during movement activities (e.g., climb stairs using alternating feet; run, jump, and walk in a straight line; stand and hop on one foot). Demonstrate strength and balance by performing body support movements (e.g., bear crawl and crab walk). Put on clothing items, such as shirts, jackets, pants, and shoes. 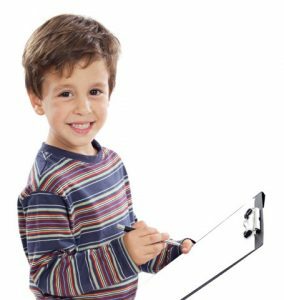 Demonstrate ability to use writing and drawing tools (e.g., hold pencils, crayons, and markers in a functional grasp; use paintbrushes to make strokes at an easel). Demonstrate eye-hand coordination and fine-motor control through various activities (e.g., string beads, manipulate pegs, build with small blocks, pour using different tools, assemble puzzles, button/zip, snap, use scissors to cut paper). Demonstrate awareness and coordination of body movements. 19.B.ECa: Coordinate movements to perform complex tasks. 19.B.ECb: Demonstrate body awareness when moving in different spaces. 19.B.ECc: Combine large motor movements with and without the use of equipment. Demonstrate awareness of spatial boundaries and the ability to maneuver within the area. Move effectively in different pathways (e.g., zigzag, curved), able to stop quickly and change directions. Coordinate large movements to use equipment (e.g., peddle a tricycle, pull a wagon). Demonstrate the ability to throw (overhand and underhand). Throw, catch, or kick a lightweight ball. Demonstrate the ability to kick or strike (using an implement) in a specific direction with some control and accuracy. Participate in activities involving a series of large motor movements (e.g., dance, play “Follow the Leader,” play “Simon Says”). Demonstrate understanding of spatial relationships, such as under, over, behind, and next to, by using the body and an object. Demonstrate ability to coordinate fine- and gross-motor movement (e.g., build structures, such as some houses and roads, with hollow and unit blocks). Demonstrate knowledge of rules and safety during activity. 19.C.ECa: Follow simple safety rules while participating in activities. Demonstrate safe, controlled movement during activities, with occasional adult reminders. Adhere to basic safety rules during gross- and fine-motor activities, with occasional adult reminders. Apply body control during gross-motor activities to prevent accident or injury to self or others. Participate in discussions about the importance of helmets for safety on tricycles, scooters, and wagons. Understand the concept of safety relative to helmets while riding tricycles, skating on a scooter, or riding in a wagon. Ask for a helmet before riding tricycles, skating on a scooter, or riding in a wagon. Develop habits for lifelong fitness. Achieve and maintain a health‐enhancing level of physical fitness. 20.A.ECa: Participate in activities to enhance physical fitness. 20.A.ECb: Exhibit increased levels of physical activity. Participate in activities that increase heart rate, flexibility, muscle strength, endurance, and cardiovascular endurance, such as running and jumping. Participate in activities that require stretching muscles, such as climbing, reaching, and pulling. Engage in repetitive behavior to practice and promote skill and ability, recognizing that physical activity keeps the body healthy. Set goals based on fitness data and develop, implement, and monitor an individual fitness improvement plan. Develop team‐building skills by working with others through physical activity. Demonstrate individual responsibility during group physical activities. 21.A.ECa: Follow rules and procedures when participating in group physical activities. Ask questions such as “Is it my turn now?” during a game. Show basic awareness of others and participate in an activity while remaining in their personal space. Follow rules for simple games. Participate in discussion of safety during physical activity. Participate safely in the day’s physical activity, with assistance from adults. Participate safely in the day’s physical activity, with few reminders from adults. Demonstrate cooperative skills during structured group physical activity. Share equipment with others during a group physical activity. Take turns during group physical activities. Cooperate with others during a physical activity to complete a task. Encourage peers to be successful. Respect others’ abilities. Respect others’ abilities and cooperate to help the activity be fun and enjoyable for all. Understand principles of health promotion and the prevention and treatment of illness and injury. Explain the basic principles of health promotion, illness prevention, treatment, and safety. 22.A.ECb: Demonstrate personal care and hygiene skills, with adult reminders. 22.A.ECc: Identify and follow basic safety rules. Participate in discussions about healthy living (e.g., eating healthy foods, hand washing, sneezing and coughing into sleeve). Distinguish food on a continuum from more healthy to less healthy. Recognize the importance of doctor and dentist visits for staying healthy. Participate in hand washing throughout the day, with adult reminders. Practice personal hygiene, such as using a tissue to wipe nose and throwing used tissues in a wastebasket or covering the mouth when sneezing and coughing, with adult reminders. Complete personal care tasks, such as toileting and washing hands, with only occasional reminders. Identify ways to reduce injuries on the playground, such as standing far enough from swings to avoid injury and using play equipment in safe ways. Discuss safety rules such as pedestrian safety (e.g., look both ways before crossing the street and walking on the sidewalk). Demonstrate basic safety knowledge (e.g., looking both ways before crossing the street, wearing a seatbelt, practicing bus safety, using a helmet). Describe and explain the factors that influence health among individuals, groups, and communities. Explain how the environment can affect health. Understand human body systems and factors that influence growth and development. Describe and explain the structure and functions of the human body systems and how they interrelate. 23.A.ECa: Identify body parts and their functions. Point to external body parts, such as arms, legs, knees, ears, and toes. Identify external body parts, such as arms, legs, knees, ears, and toes, by naming them. Identify or demonstrate ways to use body parts (e.g., ears to hear, eyes to see, legs to walk and run). Identify ways to keep the body healthy. 23.B.ECa: Identify examples of healthy habits. 23.B.ECb: Identify healthy and nonhealthy foods and explain the effect of these foods on the body. Distinguish between being healthy and not healthy. Participate in discussions of good health habits, such as getting enough sleep, eating healthy foods, and getting enough exercise every day. Identify good health habits, such as getting enough sleep, eating healthy foods, and getting enough exercise every day. Participate in discussions about the importance of eating breakfast. Identify healthy foods and snacks. Explain that bodies need healthy food to grow, feel well, and have energy to play. Describe factors that affect growth and development. Promote and enhance health and well‐being through the use of effective communication and decision‐making skills. Demonstrate procedures for communicating in positive ways, resolving differences, and preventing conflict. Apply decision-making skills related to the protection and promotion of individual health. Demonstrate skills essential to enhancing health and avoiding dangerous situations. 24.C.ECa: Participate in activities to learn to avoid dangerous situations. Understand some practices can be unsafe (e.g., horsing around on the playground equipment). Communicate to adults if there is an unsafe condition in the play area, such as “Bobby is tripping other children.” or “The playground equipment is wet”. Demonstrate understanding of how to respond in unsafe situations, such as what to do if playing near the street, not wearing a helmet, or someone gets hurt (e.g., tell an adult, call 911). Participate in a discussion about familiar adults. Participate in a discussion about who is and who is not a stranger. Know when you feel “uncomfortable” with an adult to express that to another adult. Use the home language to communicate within and beyond the classroom. Use the home language at age-appropriate levels for a variety of social and academic purposes. 28.A.ECa: May demonstrate progress and mastery of benchmarks through home language. 28.A.ECb: Use home language in family, community, and early childhood settings. 28.A.ECc: Develop an awareness of the different contextual and cultural features in the early childhood and community settings the child participates in. Use the home language in greetings and other social situations. Answer questions about self in home language. Use the home language to respond to stories, conversations, or share personally meaningful information, such as what the family did over the weekend. Label elements in family photo (e.g., self, family members, event, location) in the home language. Describe actions in play scenarios and act out familiar role in dramatic play using home language (e.g., mother, grandfather, doctor). Resolve conflicts with another child who speaks the same language using home language (e.g., taking turns on a bike, sharing a doll). Use one- to two-word utterances to convey an idea in the home language. Use three- to five-word utterances to convey an idea in the home language. Use utterances of five or more words to convey an idea in the home language. Begin to show some awareness of different languages, communication styles, and/or formats to use in community settings (e.g., home, grocery store, church). Begin to show some awareness of different languages, communication styles, and/or formats to use in early childhood settings (e.g., gym, art, playtime, group times). Use different languages, communication styles, and/or formats to use in early childhood settings and in community settings (e.g., chooses language(s) for play depending upon the peer(s), turns and talks to a peer using appropriate language, talks to adults using appropriate language). Use the home language to make connections and reinforce knowledge and skills across academic and social areas. Use the home language to attain benchmarks across all the learning areas and to build upon and develop transferable language and literacy skills. 29.A.ECa: Use home cultural and linguistic knowledge to express current understandings and construct new concepts. 29.A.ECb: With adult support, begin to bridge home language and English to demonstrate progress in meeting IELDS. 29.A.ECc: Exhibit foundational literacy skills in home language to foster transfer to English. In home language, retell home routine to understand concept of sequencing (e.g., tell the things done at home before school). In home language, describe what s/he is doing in a play or group experience. In home language, explain a new discovery or understanding acquired through a play or group experience. With adult support, use one or two English words to communicate about familiar routines. With adult support, attempt to use general and specific English words connected to a specific topic (e.g., butterfly, wing, eye, pretty, fly) with home language in conversations, responses, and/or questions. With adult support, connect vocabulary in home language with English vocabulary (e.g., círculo/circle, más/more, carro/car). Pretend to read text in home language (e.g., tell the things seen in pictures to read a picture book to a friend in home language). Use knowledge of stories read in home language to answer simple questions in English or the home language (e.g., after completing a picture walk of a book in home language, the child answers questions about characters in the book). Dictate information that includes some details or sequence of events to be written on a piece of work in the home language (e.g., could dictate to a family member, classroom volunteer, or another person who speaks the child’s home language).